Mike has been an excellent teacher across the lessons I have had with him. He is very well mannered and well tempered which results in a relaxed learning experience and a confidence booster. 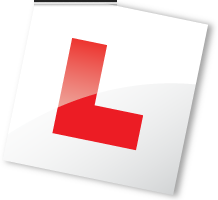 It has been a pleasure and I highly recommend Mike and LDC Driving School to anyone starting off driving or is already experienced in being behind the wheel. Well, where do I start? I mean, right from the first time I met Mike, I was greeted in a very polite, professional and courteous manner, which then carried on throughout my lessons each time. I have enjoyed every lesson with Mike, he has a great teaching style, and has a lot of patience when instructing pupils, which helps to make you feel comfortable each time. What I liked the most about the lessons, whenever I made a mistake, that could have been corrected, we went back again and did just that! Which aids the confidence and the learning journey. But also, the LDC system is fantastic, the driving skills booklet has everything you need to know for driving, and includes great examples too! Literally, anything you need to know about driving, it's in there! I would definitely recommend to others. 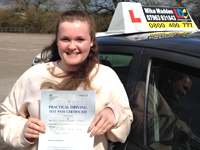 But more importantly, the fees for each lesson are excellent, and worth every penny, definitely value for money! I would recommend to anyone who is looking to start out. 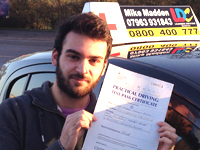 Mike is a very calm and supportive instructor who offers an extremely flexible service. 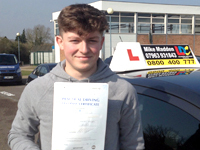 He never made me feel uneasy or pressured and made learning to drive an enjoyable experience. 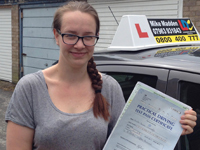 Having Mike as an instructor was helpful and made me confident in my driving ability. From going to having no experience to passing in roughly 20 lessons shows the quality tuition he provided. 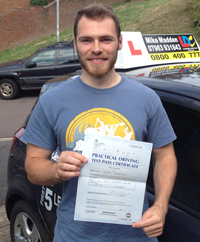 Mike was flexible and very accommodating with my lesson times in order to suit my other commitments like sixth form. He is 100% worth the money and I would recommend him to anyone. Mike is a lovely guy and is always smiling and supportive. 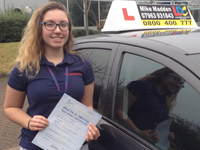 I thought that balancing my apprenticeship and learning to drive was going to be a nightmare, but Mike made special efforts to make sure that I could have lessons whenever there was an opportunity, picking me up from various locations. 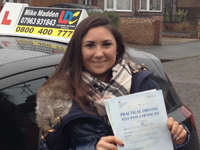 Mike, thank-you for all your help, I'm loving driving. 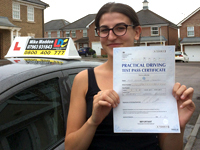 Congratulations Sola, so pleased for you. 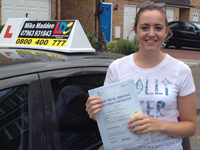 'Having completed a 30 hour semi-intensive course with LDC I would highly recommend it. 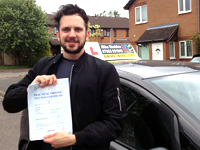 My instructor Mike had a really enjoyable teaching style and was a pleasure to spend lessons with. 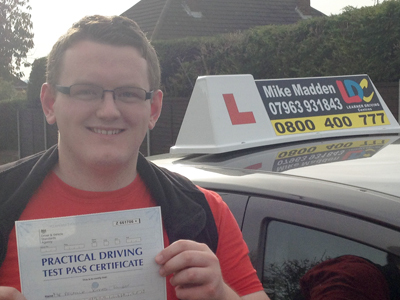 He had great patience and flexibility whilst teaching me all key skills for passing my test. Indeed I was test ready by the end of my course! 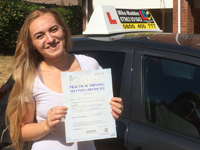 LDC also provided me with other materials which I found helpful too' Mike, once again thank-you so much for teaching me to drive and I'm over the moon to have passed first time before I go off to Spain to work and continue my career. Mike is a brilliant instructor! He has been so helpful with all my struggles when first getting into the car with him. 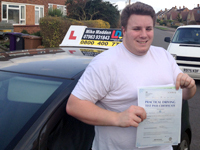 He has built up my confidence in driving which enabled me to pass. 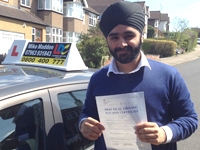 I would recommend him to everyone and his polite manner always makes you feel comfortable in the driving seat. Thank you Mike for everything I really appreciate it.